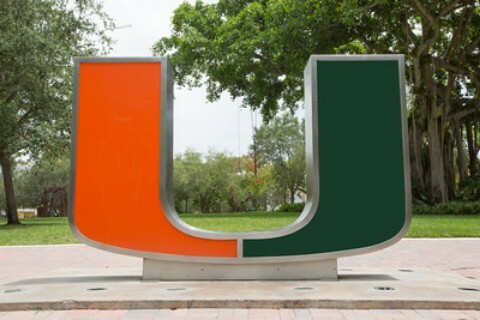 The University of Miami's General Education Requirements ensure that graduates have acquired essential intellectual skills and have engaged a range of academic disciplines. The General Education Requirements provide students with the opportunity to study methodologies and achievements in all areas of human inquiry and creative endeavor, and to cultivate abilities essential for the acquisition of knowledge. The "Areas of Knowledge" aspect of the university's general education requirements is based on the notion of cognates. A cognate is a group of at least three related courses for at least 9 credits. The courses in a cognate are related in a topical, thematic, interdisciplinary, sequential, or other such fashion, so that completion of a cognate provides coherent depth of knowledge in the area. Students must take three cognates to fulfill the Areas of Knowledge requirement, one in the Arts & Humanities (A&H), one in People & Society (P&S), and one in Science, Technology, Engineering & Mathematics (STEM). Each cognate has course options that allow students to complete the cognate in ways that meet their individual interests, while staying within the coherent focus of the cognate. In addition to the cognates that have been designed by faculty, each major and minor fulfills the cognate requirement in one area. While students are required to take three cognates to fulfill the Areas of Knowledge requirement, there is no limit on the number of extra cognates a student may complete. All cognates completed by a student are listed on the student's transcript, thus certifying their depth of knowledge in those areas. The university offers a large number and range of cognates. All approved cognates are visible in a cognate search engine that allows students to search for cognates based on cognate features, cognate courses, and keywords. Each cognate is administered by a department or program that is designated as the Responsible Academic Unit (RAU) for the cognate. Enquiries regarding a cognate should be directed to the cognate's RAU. Transfer students entering the university with 30 or more credits may take an individualized cognate as one of the three required cognates. Individualized cognates allow for flexible use of transfer credits to fulfill a cognate requirement, as approved by the dean/advising office in the student's school/college. For complete information about general education requirements and cognates, please consult the university bulletin. This chart illustrates which cognate(s) each major and minor will fulfill. For more information on a specific cognate(s) please contact the relevant representative. How does a student enroll in a cognate? Cognates must be declared (like majors and minors). Each college and school provides a process for this. Can a course count towards more than one cognate? Can a student substitute courses in a cognate? Students may petition for individual course substitutions in cognates. This is done by delivering a completed application for substitution to the RAU of the cognate. Substitution will be granted only if there are compelling reasons. Can courses taken outside UM count towards cognates? Yes, transfer courses, Advanced Placement, International Baccalaureate, CLEP, dual enrollment, etc., that are transferred to UM with specific UM course credit, can be used in cognates. Can multiple cognates be taken in the same academic department or program? The three cognates (including cognates fulfilled by majors and minors) taken to fulfill the Areas of Knowledge requirement must have different RAUs. Students may take extra cognates from any RAU. Can multiple cognates be taken in the same college or school? No more than two Areas of Knowledge may be fulfilled by cognates (including cognates fulfilled by majors and minors) whose RAUs are in the same school or college, except for the College of Arts and Sciences. Students may take extra cognates from any school or college. Can a student's major or minor require the student to take any specific cognates? Majors and minors cannot require students to take specific cognates to fulfill the cognate requirements outside the Area of Knowledge fulfilled by the major or minor. Can a student change from the cognates format back to the old general education format?